(Newser) – Authorities say a Houston-area mother who fatally shot her two daughters did not target her estranged husband because she "wanted him to suffer" the memory of their deaths, the AP reports. Fort Bend County Sheriff Troy Nehls said during a news conference Wednesday that Christy Sheats "had ample time" Friday to shoot Jason Sheats after she called a family meeting at their home west of Houston. Nehls says Jason Sheats thought his wife meant to announce their divorce to the couple's daughters. 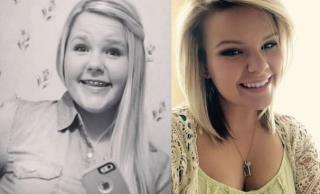 Instead, she drew a handgun and shot 17-year-old Madison Sheats and 22-year-old Taylor Sheats. Sam Clemens The NRA is dancing in the street counting their blood money. Won't you help them celebrate? The myth.. "time heals all wounds" is just a myth. The wife got her wish. This man will suffer from this incident for the rest of his life. The remainder of his life will be an endless nightmare, both day & night... reliving the event of what happened on his birthday. Through a divorce or in other ways... the women always totally stick it to the husband. The only way to prevent this is to never get married... never have children.